The course; “Beast from the East-V- Emma Storm”. The clash of both has disrupted all of our activities until the course gets ready again for to make another start to the Golf Season. All competitions will be rescheduled and listed in the Locker room and on the club web site news. Get well soon message; To John (The Saint) Stapleton. All the club members wish you a speedy recovery and hope that you will swing back into action soon. 9 Hole Friday Competition; A 9 hole competition is been arranged for Friday afternoons with the tee off at 2pm. Check out the upcoming date in the Club house Locker room. 9 Hole Open Competition; The 9hole S/Ford Open competition will continue until further notice. Come in and play at any-time that suits you and you will be guaranteed a game. Fee; €5. Re-entry €3. All are welcome. New Rule; Entries to this competition can be included for H/C adjustments. Names for the Spring League; There are some places left on the Spring League list. If you cannot get into the club house, phone or text Liam 087 4115773 to put you name onto the selection list. Entry fee €20. Don’t delay give this league your full support. Lotto; A Lotto will be commencing as soon as possible. Full support by all members will be required to make this Lotto a great success. All funds will be for the development of the course, the replacement and purchase of new machinery that will improve our course conditions. Green Fee Reminder; “There is just one rate” The Green Fee for 2018 is now €10 for 9hole or 18 hole. .
Good Outdoor Exercise; 9 holes + 2hrs. 18 Holes = 4hrs. Good Social occasions, Presentation Nights, Social Mixed, Senior Events and Away Trips. The Handicap System allows members of different abilities an equal chance of winning. Various Category of Memberships are available at different rates. (Membership rates are on our web site). Full Annual Membership €350 = Approximately, only 95c. per day. New members are the lifeline of the club, so all existing members are encouraged to tell all your friends to take up membership and test their skills on this challenging Golf course. Registrations Forms for new members are now available on-line on our web site, or at the club house or contact Martin Bohan 087 0509278 or any of the committee members. All are welcome. New Additional Members; All current members are encouraged to introduce only “ONE NEW MEMBER” Lady or Gent, Junior or Student, Senior or Family, Active Retiree’s or any person interested in taking up the sport. It will be a huge advantage to building the club membership. Seniors, Thursday 8th. March; There was a great turn out on the Thursday 8th. 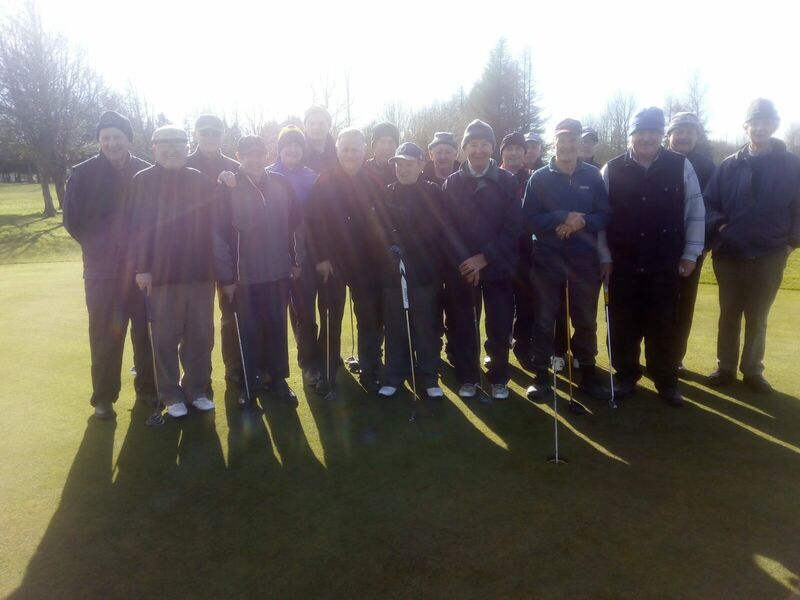 after Cabin Fever all were delighted to be back on the course. Next date; Thursday 15th. March. Senior Results 8th. March; 1st. Team; Mick Murphy, Mick Carey, Mick Connell, Tony O’Toole. 2nd. Team; Bertie Keane, John Galvin, Frankie Shortt, P.Ryan. 3rd. Team; Liam Daly, Ambrose Purcell. Pat Maher, Myles McMorrow. Adopt a Bunker Campaign; A call up is required for the “Adopt A Bunker” volunteers to remove the winter look off the bunkers by raking and weeding. “Just call in and get on with the work”. As a reminder, the Bunker list on the notice board are as follows; Hole 2; Martin Bohan and George Collins. Hole 3; John Greed, Michael Webster, Tony O’Toole. Hole 4; Michael Walsh, Seanie Gleeson, Pat O’Connell. Hole 6; Joe O’Connor, Tom McGrath. Hole 7; John Galvin, Rody Cawley. Hole 9; Liam Daly. P. Moloney. Anyone not on the list but have some free time will also be welcome to dig in. Munster County Clubs; Round 2; Winners, Spanish Point/Doneraile-v-Templemore. A.I.G. Pierce Purcell 26/27th. May; in Ballykisteen Golf Club. Round 1; Ballykisteen-v-Templemore. Round 2; Ballykisteen/Templemore-v-Winners, Clonmel/Thurles. Mixed Foursomes 16/17th. 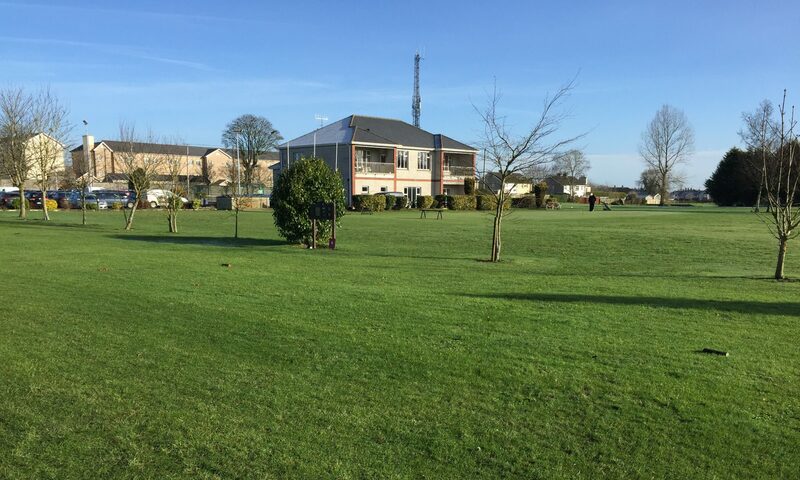 June; East Section in Tipperary Golf Club, Round 2; Templemore-v-Clonmel. Cup and Shield Requirements; for Foursomes, Fourball Match Play and Single match Play are listed in the Club House locker room. Munster Golf; Irish Cups and Shields Tournaments 2018 are now listed on the Club House Locker room for details. The AIG Cups and Shields National Finals will be in Thurles Golf Club on 21/23 September 2018. The Irish Mixed Foursomes National Final will be in Miltown Golf Club 5/6 October 2018.